However, risk mitigation solutions have not kept pace with a rapidly diversifying and expanding corporate market. The issue of buyer risk has been raised with increasing frequency over the last few years and the market must address this issue seriously and immediately. For its own long-term health, the market must move away from the current one-size-fits-all approach to a “many-sizes-for-all” approach to risk mitigation. The report, of which this is the executive summary, dives into five specific risks buyers find unfamiliar— price, shape, basis, volume, and operational risk. It then reviews a range of mitigation strategies, including those that are widely available and those that are emerging in the market today—hub-settled contracts, floors and collars, proxy generation, volume firming agreements, and fixed volume swaps. 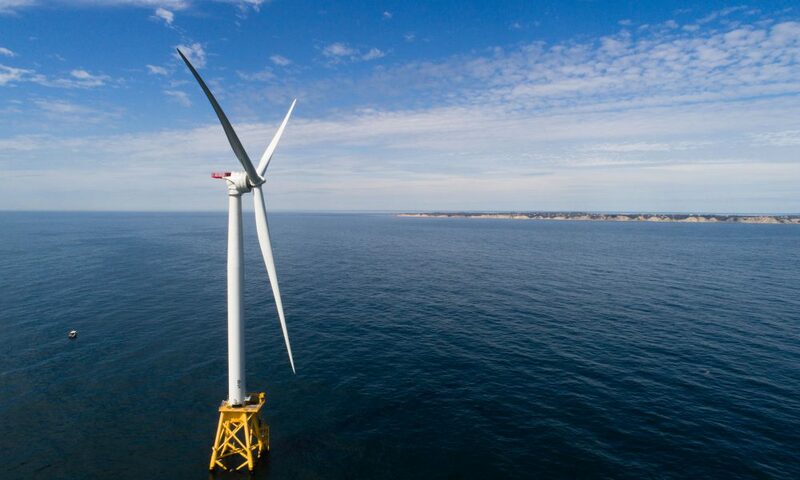 The report also explores mitigation and procurement strategies such as longterm renewable energy certificate (REC) agreements, project tranches, and contract tranches. 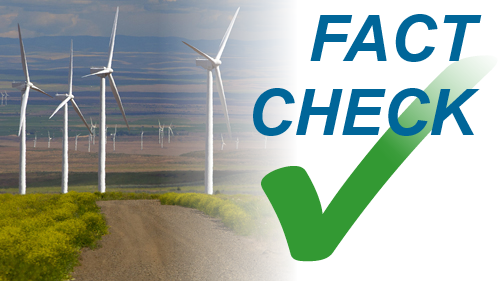 Lastly, the report highlights best practices for buyers to contract for off-site renewable power in a way that meets their risk priorities. 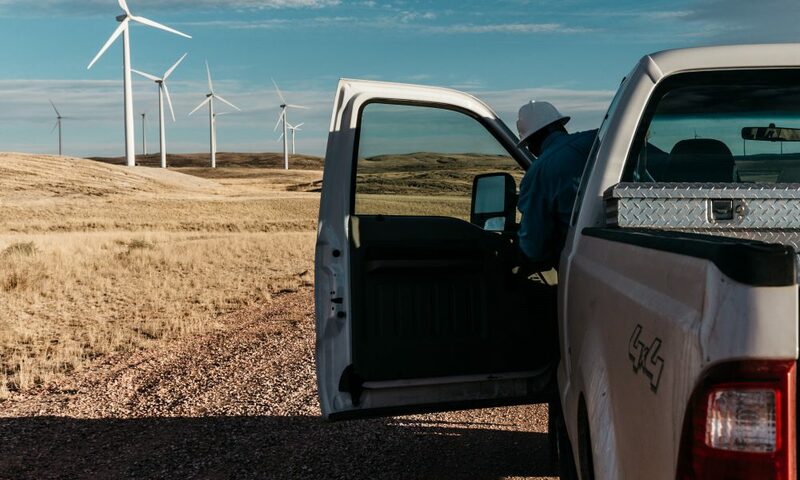 As Figure ES1 shows, 2018 has been a landmark year for corporate renewables in the United States. 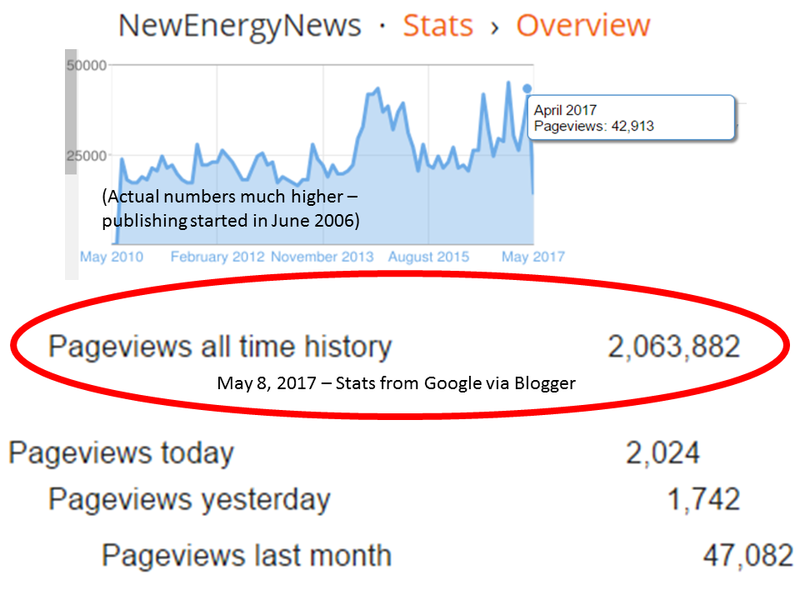 The market has seen over 6 gigawatts (GW)2 of renewable energy announcements in this year alone—more than the previous two years combined. 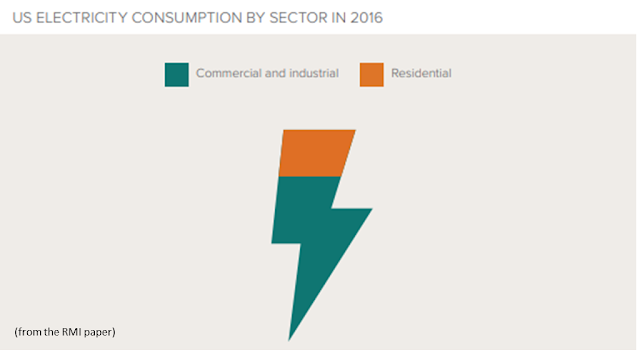 The market holds promise for even greater growth in the future, as a sizeable majority of US electricity consumption comes from the commercial and industrial (C&I) sector (see Figure ES2). 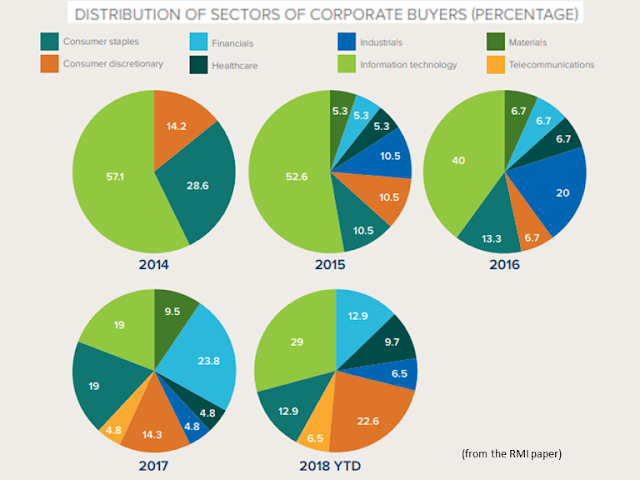 While the IT sector continues to be a leader in the market (with 29% market share), 2018 has seen the sustained participation of many other industries in this space. More than half the procured capacity over the past year came from outside the IT sector and included industries like telecommunications, retail, manufacturing, and healthcare. This is reflected in Figure ES3, which shows how the participation from different industries has evolved over the years. 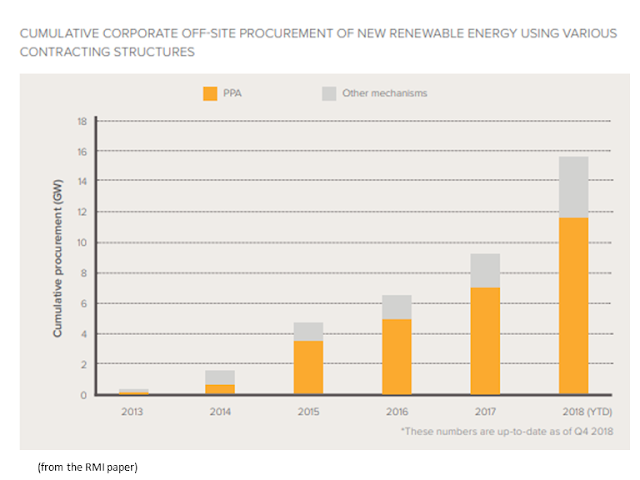 Despite the tremendous growth in 2018 (with a 70% increase in announced transaction volume from 2017)i and the increasing diversity in the market, only around 60 companies have completed additional, off-site procurement of renewable energy in the United States.3 When that is compared to the number of companies with decarbonization targets (over 150 companies set targets4 just in the past year), it is clear that this market holds enormous potential for future growth and change. 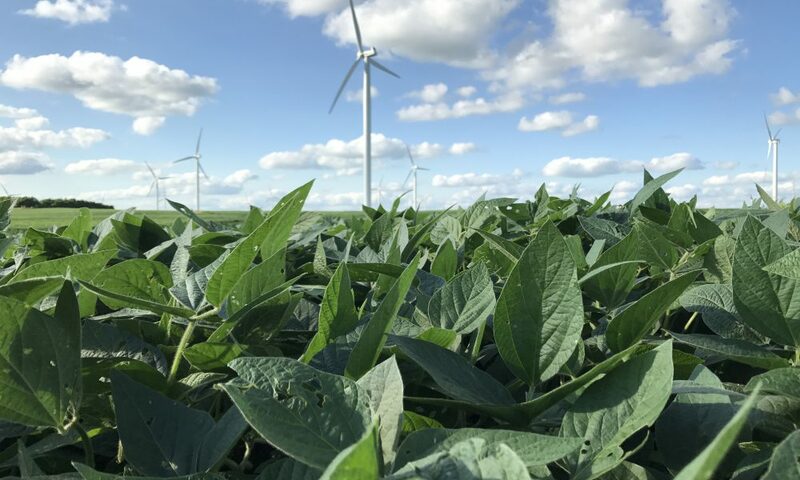 Through conversations with a variety of members and stakeholders, the BRC believes that risk mitigation needs to be seriously addressed—and in a timely fashion—to ensure the sustainable growth of this market. The following section will dive deeper into the reasons behind this conclusion. While the corporate procurement market has expanded and diversified rapidly in the last few years, risk mitigation solutions have not. This has led to a one-size-fits-all approach to risk, which is expanded upon in the next section. 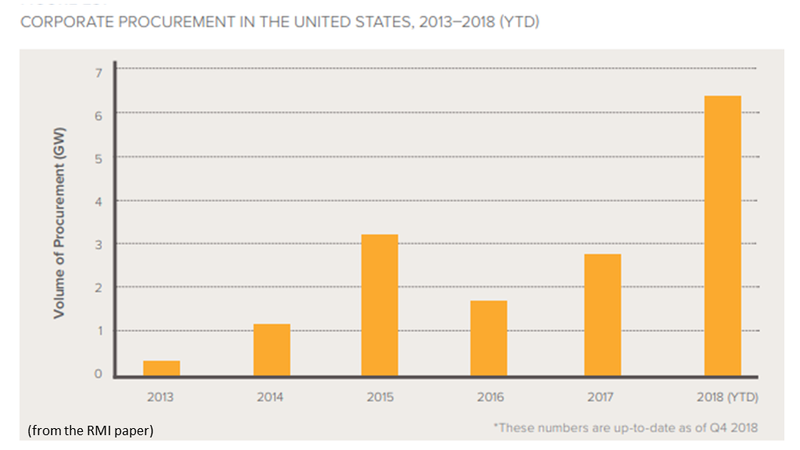 The power purchase agreement (PPA) is and has been the dominant contracting structure in the US corporate procurement market (see Figure ES4). The PPA contracting structure brings a unique set of risks for each counterparty. 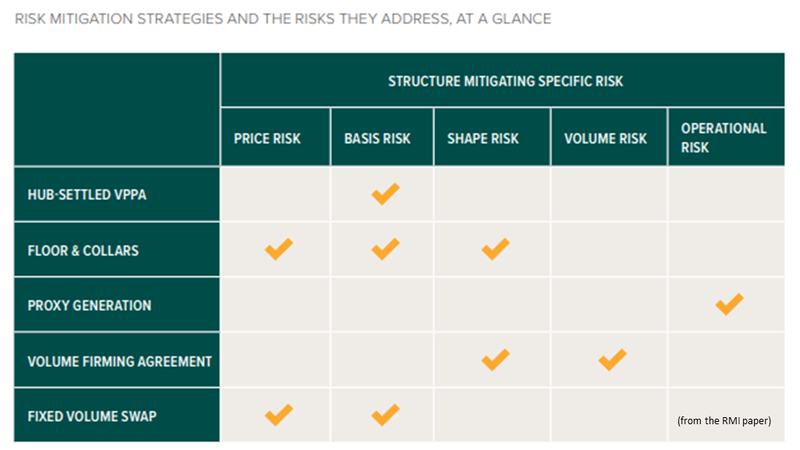 Some of these risks (including price, basis, and shape risk) are specific to the wholesale electricity market, and are thus risks that corporate buyers do not encounter in their core business operations. A lack of familiarity with these risks makes it all the more important for buyers to understand them, their implications, and the applicability of different mitigation options (as highlighted in the report). Failure to assess and address these risks could cause buyers to experience unexpected—and significant—financial downside over the lifetimes of their contracts. While the PPA contracting structure has proven scalable and effective for delivering renewable power, it is only one contract structure with one set of specific risks. The PPA’s unique set of risks may align well with one company’s risk appetite, while misaligning entirely with a different company’s risk appetite. This lack of variety around risk mitigation is increasingly at odds with a market diversifying in size and industry as the spectrum of risk appetites is broadening. The set of available risk mitigation solutions has simply been outpaced by the rate of change in the market. 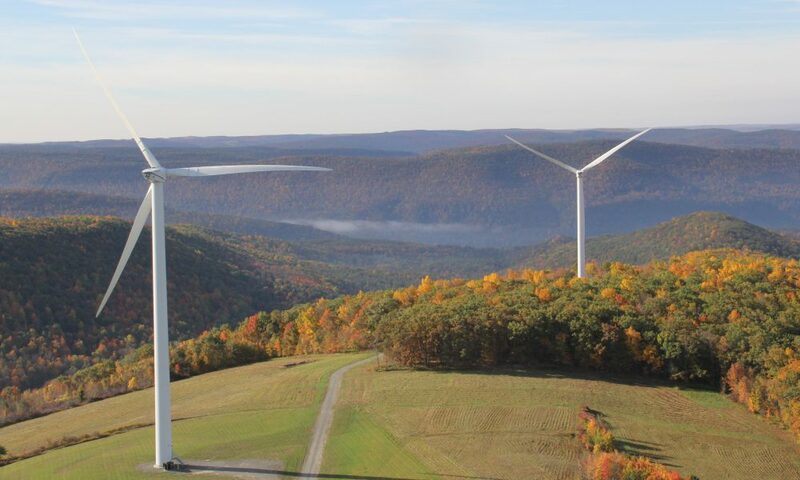 As a result, the PPA is often the only viable option for companies that want cost-competitive, utility-scale renewable power. • Market evolution: the BRC has been at the center of this market since its inception. It has seen how this market has grown and diversified in a short period of time. Through conversations with solution providers and by means of general domain knowledge, the BRC has gathered that the pace of risk solution expansion has been much slower than the pace of market expansion. • Market interest: the BRC has observed that there has been significant and growing interest in risk mitigation options. This interest has intensified over the past year and indicates a real appetite in the market for more ways to manage risk. • Stakeholder conversations: the BRC has spoken to many stakeholders from multiple stakeholder groups—buyers, developers, risk managers, lawyers, financiers, and consultants. All the stakeholders are market leaders in their own right and one theme that emerged from many conversations was that risk mitigation is a growing challenge that must be addressed sooner rather than later. To satisfy this broadening spectrum of risk appetites, the BRC advocates for an expanded set of risk mitigation solutions and contracting tools, as highlighted in the report. There is a need to move from a one-size-fits-all to a “many-sizes-for-all” approach in risk management that ensures rapid but sustainable market growth in the long run. A many-sizes-for-all approach is needed to identify the key risks for buyers and, more importantly, to expand on corresponding mitigation options to manage those risks. To that end, the report identifies five key risks that are unfamiliar to buyers and difficult to manage—price, basis, shape, volume, and operational risk. For each mitigation solution, the report then details how it works, where it has been implemented before, the counterparties involved in it, and the risks that are being mitigated. The report also provides a framework that will help buyers navigate this growing suite of available solutions. 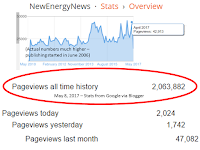 Heavy Metal: a heavy manufacturing company with a large, regionally concentrated load that has some internal capacity for energy procurement. The report examines the possible reaction of each buyer archetype to, and likeliness to engage with, the eight risk mitigation solutions under consideration. The solutions (within the VPPA construct) and the risks they mitigate are summarized in Table ES1 below. This table encourages a buyer to visualize how different solutions work, and how they could align with their own risk priorities. Corporations represent a majority of the electricity load in the United States. 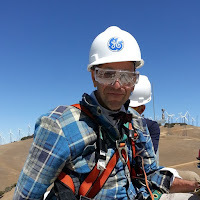 This puts them in a unique position as they can leverage their tremendous buying power to shape the grid of the future—a grid that delivers clean and affordable power for all. However, to achieve that future, the market needs to develop and implement a robust set of risk mitigation solutions. While the market has grown and diversified rapidly over a short period of time, solutions to mitigate risk have not done so at a similar rate. Corporate buyers need to plan in advance and engage with key (internal and external) stakeholders to address risk. Such planning will ensure that the buyer makes informed decisions that best suit its own risk priorities. This report can help corporate buyers in their planning.